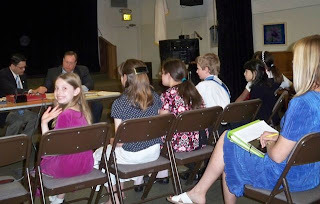 Miss E was on our church's Bible Quiz team this year, she had a great time reading and memorizing God's word as well as practicing with her team mates. The competition was on Friday, the day after we got home from Family camp. Rob got to go up too, while I stayed home with the other kids and we all worked on unpacking. 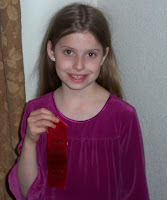 She had a great time and the team did well, they got second place! There were only three teams this year, but I'm told the first place team was AMAZING, Miss E's team was behind them by only one question. Good job Miss E! Good job team!